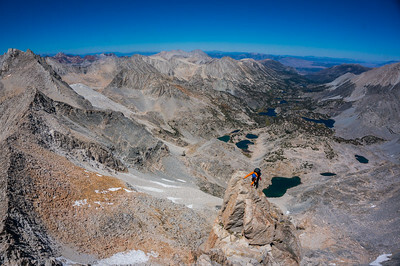 North Arete of Bear Creek Spire. 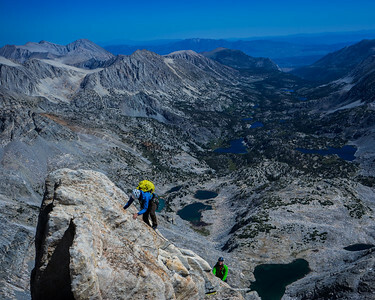 High Sierra, California. 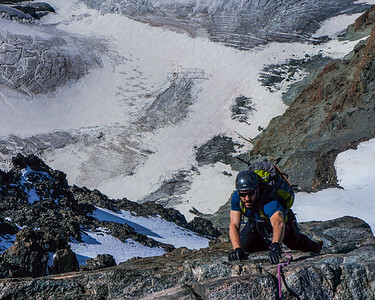 Climber on the "Razor's Edge" pitch on the Aiguille de la Gliere. Mont Blanc in the background. Chamonix, France. 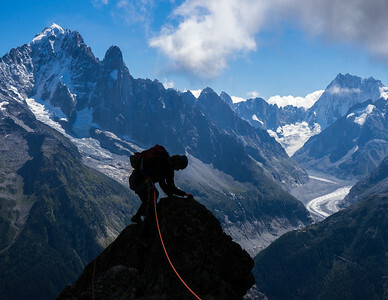 Climber in the Aiguilles Rouge. 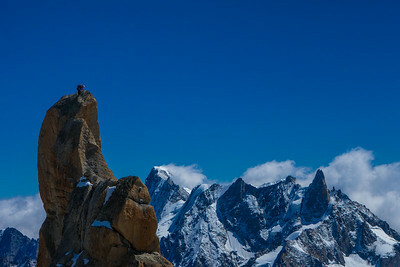 The Aiguille Vert, The Dru, The Grand Jorasses and the Mer de Glace in the background. Chamonix, France. 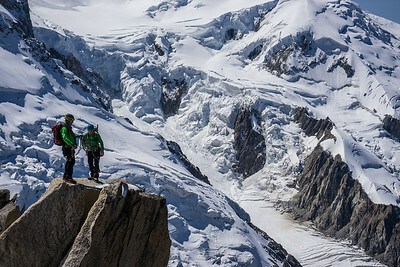 Climbers on the Cosmiques Arete, Aiguille du Midi. Chamonix, France. 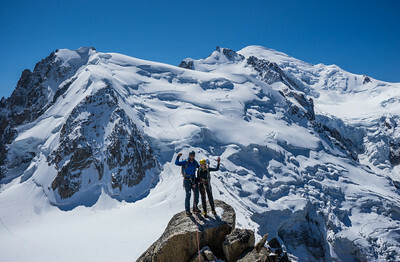 Climbers on the Cosmiques Arete. Mont Blanc du Tacul, Mont Maudit & Mont Blanc in the background. Chamonix, France. 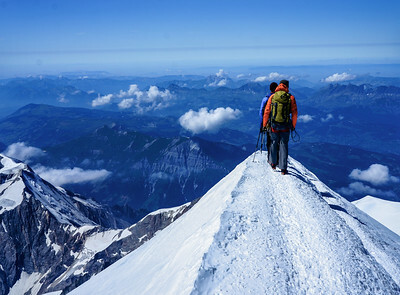 Leaving the summit of Mont Blanc, highest peak in Western Europe. 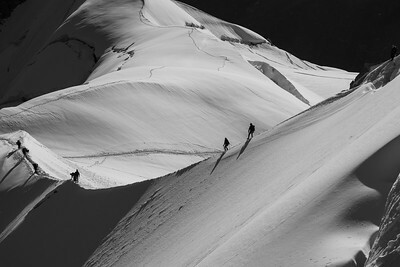 Climbers descending from the cable car station of the Aiguille du Midi. Chamonix, France. 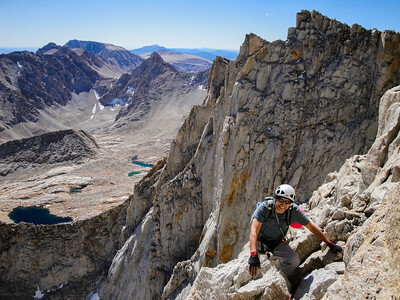 Climber on the East Face of Mount Whitney. Sierra Nevada, California. Climber on the Rimpfischorn. Zermatt, Switzerland. 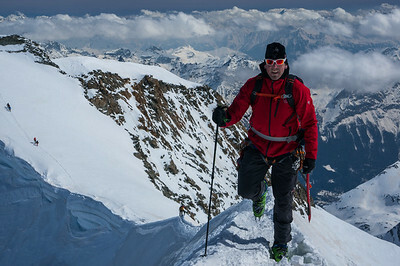 Rich Meyer putting the mountaineering in ski mountaineering on Piz Palu. Engadin, Switzerland. 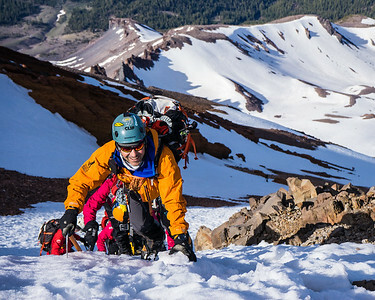 Pat Bush making it real on the West Face of Mount Shasta. South Cascades, California. 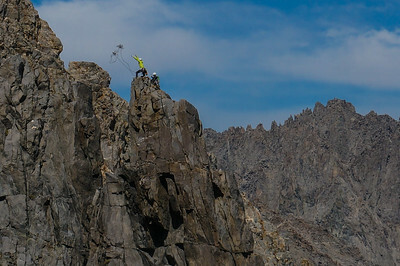 Climbers trying to lasso the Tyrolean traverse on Sun Ribbon Arete, Temple Crag. Sierra Nevada, California. 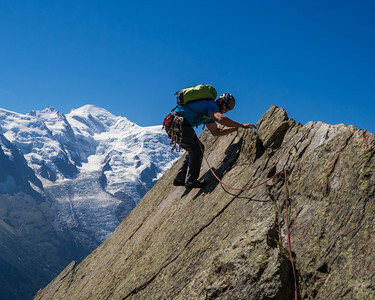 Climber topping out on the South Face of the Aiguille du Midi. Chamonix, France. 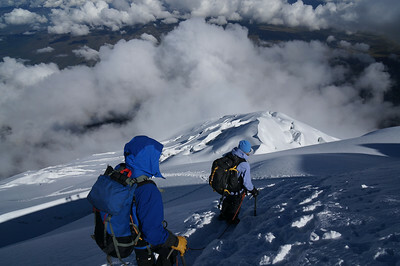 The Northeast Ridge of Bear Creek Spire. High Sierra, California.